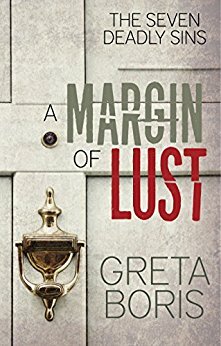 A Margin of Lust by Greta Boris is the first book in the new Seven Deadly Sins suspense series. I was excited to pack this in my suitcase and take it on vacation. I thought it would make the perfect beach read and I was right. This suspenseful mystery is so well-written that you won’t want to put it down. Ms. Boris is an immensely talented writer who seamlessly weaves a plot that pulls you in from the start. The character development was a key part of how much I enjoyed the story. I will be anxiously awaiting more in this series. Greta Boris is the author of the 2017 releases, A Margin of Lust and The Scent of Wrath, the first two books in her 7 Deadly Sins domestic suspense series. She’s also the Director of O.C. Writers, a community of over 800 published and aspiring authors in Orange County, California. 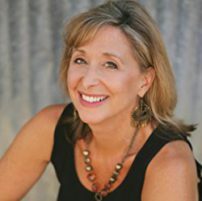 She’s published articles on culture, health, and entertainment for a variety of national magazines including Victorian Homes, Zombies, 50 Scariest Movies, Exodus, and Women of the Bible. She’s also the author of the Amazon Kindle Bestseller The Wine and Chocolate Workout – Sip, Savor, and Strengthen for a Healthier Life. Thanks for the great review, Brooke! So glad you enjoyed it. Book 2 is in final edits now, coming soon.